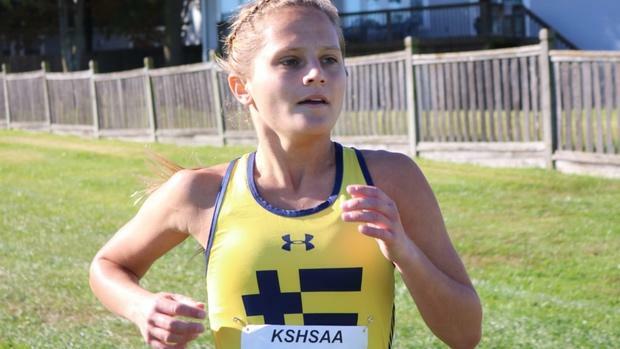 Katherine Cox is a senior with the St. Thomas Aquinas High School girls cross country team. 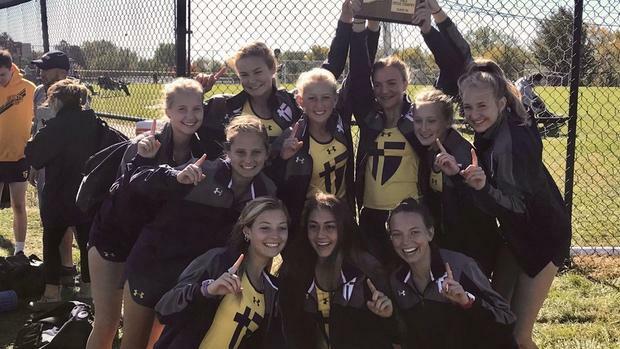 She's heading into her final state cross country championship race with the Saints on Saturday at Rim Rock Farm in Kansas. Cox reflected on her experience in the sport, and shared how certain moments have shaped the way she's come to think of running as a whole. Sometimes you have been so good to me, and other times you have definitely not. There were moments when times got tough dealing with my high expectations, but I know that pressure is a privilege now, and it took time to learn how to handle the pressure you caused me to put on myself. I realize these were all tests. Although you have not always been easy, you have always been worth it. I'll share with you the many reasons here. But first, let's start with our first encounter. You hooked me from the moment I began running. You changed my life and the way I see the world. The simple concept of self-betterment from hard work was exhilarating. You showed me that I am in control of my life. You showed me in running, and in life, that the best version of myself will never lie in my comfort zone. You have taught me that things will not always go my way, and they most certainly have not. Sophomore year in particular, you tested my will. I worked hard all summer, winter, and during that season, but I never experienced the success I desired. The pressure I put on myself weighed me down, not only physically but mentally as well. Stress took away my joy. Everyone goes through their own struggles, but no one comes out the other side the same. And I've learned that the hard times have made me a stronger person. I've dealt with injury. I've had iron deficiency. I've had anxiety. But all of those things showed me how strong I was when I overcame them. It showed me that it takes time to figure things out, but as long as I am giving my best effort every day, I will make progress. Running is an incredible part of who I am, but it is not all I am. Deep down I have always known this, but there were times where I lost focus and convinced myself that if running was the center of my life, I would get the results I desired. Unfortunately, this theory led to a hard crash. And although it was difficult lesson to learn, to find out how important balance was, it also allowed me to grow as a person. You showed me that I am in control of my life. You showed me in running, and in life, that the best version of myself will never lie in my comfort zone. Balance means focusing on the task at hand. At practice, I'll focus on running, but when I'm in class or with friends, my focus lies there. I've learned it's all about being in the present. I've also learned not to derive value from a time, place, or result. Whether I cross the line first or last, I am still the same Kate. Who I am comes from the quality of my character, and no one can take that away. Next, you taught me that success comes with patience, and it doesn't always look the way I thought it would. Initially, I only felt successful if I ran a PR. But I've come to learn that there is also a balance in that, to give my best effort while also enjoying the moment. Success isn't just one big win, but it's finding the good in each day, the improvement, and the joy. Even when things just seem like they are hopeless, they never are and there truly is hope. Sometimes that means just taking things one day at a time, and eventually things will turn around. Finally, and most importantly, you have brought me my best friends. I have learned that team culture is more important than anything else. An environment where everyone feels like they belong creates an opportunity to thrive. I'll never forget freshman year when a couple seniors took me under their wing, or when the upperclassmen shouted "Bye Kate" to me about 10 times before I actually left. This culture is never set-in-stone. It can be developed and improved. Over the past four years, I have seen the Saints cross country team grow into a family. Some of my best memories aren't from the races, but from spending time with my teammates. Like the time we had a team "Friendsgiving" dinner, or the infamous time when Janelle at a butterball. I always look forward to stretching after practice as conversations grow into discussions, until finally Coach Wrigley kicks us out and insists we go home and eat dinner. This family has seen each other at our best and worst moments. We've laughed and cried together, and as Coach Wrigley always says, we've learned what it really means to "fight for each other." It's so special when you can do something you love with people you care about. And as we approach championship season, there is one thing I know. We will embrace every second of time together because it will soon be over. It's time to keep things business as usual, and trust that love will conquer all.